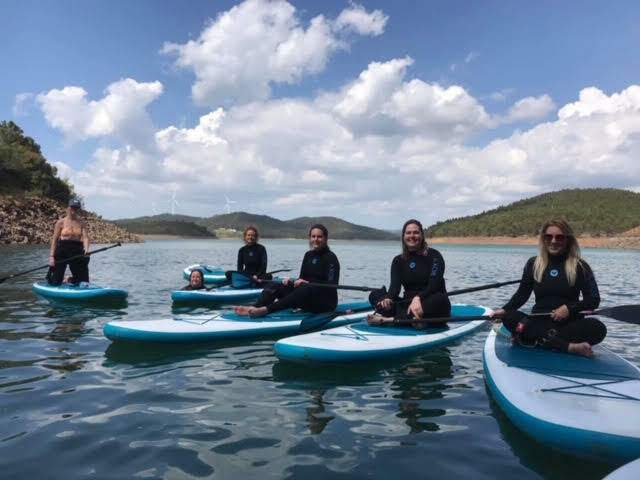 Luxury SUP & Yoga Retreat Portugal 2nd to 9th November 2019! As there are only 8 spaces on this gorgeous luxury retreat contact us soon to secure your spot! Call Sarah on 07857965287 or email info@rideonretreats.com to ask any questions you may have! Our wonderful guests taking a break to admire the scenery and have a swim on the SUP tour….